Now that finals are over and school is out for summer, I am looking forward to summer reading... that is, reading everything I can cram into the weeks before fall quarter. To kick off the reading extravaganza, we met for book club on Saturday evening at E's place. She had come up with a few interesting discussion questions, sparking a lively conversation about The Immortal Life of Henrietta Lacks and the many ethical issues surrounding medical research. We chatted about the book and sat around a coffee table full of yummy snacks prepared by our gracious hostess--cheese and crackers, grapes, cocktail sausages in a mini crockpot, deviled eggs, tiny tarts, and funfetti cupcakes fresh from the oven. Not to mention, we enjoyed a few bottles of wine before continuing the fun at the bar across the street. For next month, our pick is Up From the Blue: A Novel by Susan Henderson. 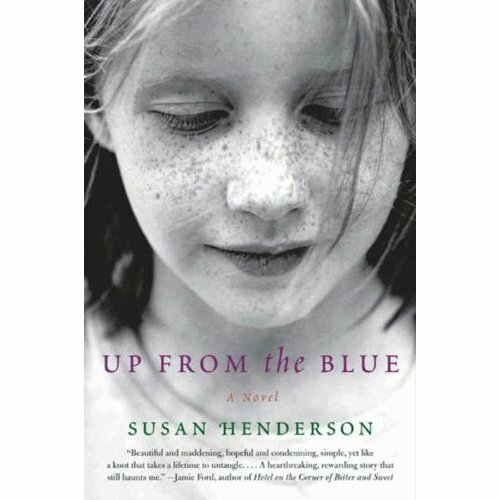 The debut novel tells the story of Tillie, who confronts her past and comes to terms with her family background as she experiences the birth of her own daughter. We'll be meeting in July to discuss this selection.